Are you wondering around because you cannot find the perfect model car for your FS19? We have a solution for you – Farming Simulator 2019 Car Mods. There is no need to get bored with the existing options anymore. These additional files provide you with the whole new package of features to help you cope with the existing problems and to be entertained too! There is nothing worse than getting dull about the game, so don’t let this happen. 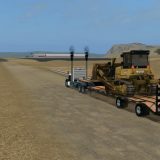 For this reason, we insist on you taking a look at our Landwirtschafts Simulator 19 Car Mods and picking the most favorite one. Renew your farm and add significant advantage – this is kind of proposal you simply cannot refuse. 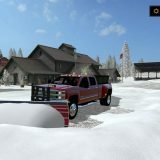 Pay some attention at the descriptions because every Car Mod Farming Simulator 2019 has different specifications – this will help you to choose the most needed and perfectly suitable sample. 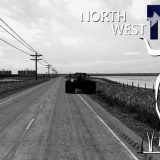 On the other hand, you can feel free to try as many files as you like and test in various situations because there are no additional costs for FS 19 Car Mods free examples. There is nothing better than solving your problems within few clicks but we simply recommend completing LS 19 Car Mods download and checking everything personally! That’s a great way to improve your skills and develop the farm rapidly. Overrun your opponents and leave them far behind – no one will be able to compete with you anymore. Sounds attractive? Give it a try, however there is nothing to lose but really a lot to gain!